Find a new Volkswagen Atlas at your local Orland Park, IL Volkswagen dealership. 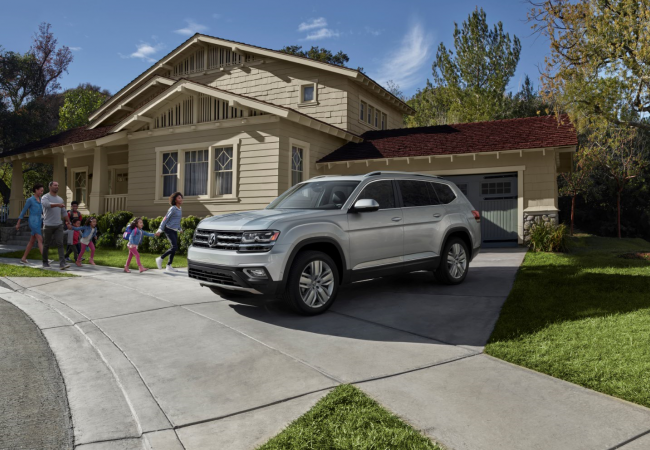 Overview You'll never feel crowded during your next road trip in the new Volkswagen Atlas from Volkswagen of Orland Park, Illinois. 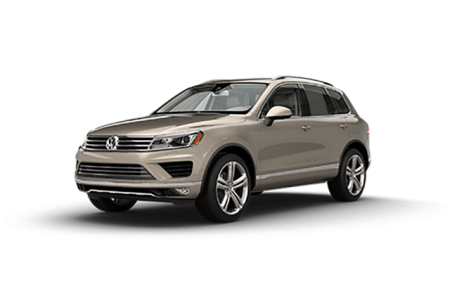 Fitted with three rows of seats to fit your most precious cargo, the Volkswagen Atlas is a true full-size SUV ideal for any American family. The Volkswagen Atlas is the perfect vehicle for soccer moms and travelers alike, boasting cargo space that fits just about anything you could need for adventures, errands, and more. It also features an Easy Open life gate and large panoramic sunroof that makes life on the inside and out even better. 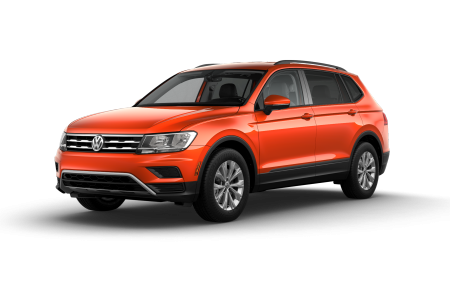 Visit our Orland Park, IL Volkswagen dealership today to hop in for a test drive! Why Us? Ready to learn more? At Volkswagen of Orland Park, our sales and financing teams are here to help you through entire car-buying experience. Whether it's getting to know the Volkswagen vehicles that'll fit your lifestyle best or securing an auto payment that matches your budget, we've got you covered from start to finish. You can also get to know our sedans, wagons, and SUVs by browsing our online inventory and using our auto financing tools. Visit or give us a call today to discover why everyone is buzzing about the all-new VW Atlas. All those miles in your Volkswagen mean regular maintenance is key to keeping it safe and road-ready. The Volkswagen of Orland Park auto service center is the place to be for just that. Our automotive specialists are well-versed in all things Volkswagen, making oil changes, brake replacement, tire rotations, transmission flushes, engine repair and beyond no match for our skilled team. We'll get you in and out in no time so you can spend more time enjoying the road. Schedule an appointment today by giving us a call or filling out our online form.